Kyoto (Japan) (AFP) - A fleet-footed Japanese centenarian raced into the Guinness World Records reference book on Wednesday and declared himself a "medical marvel" as he continues to stalk sprint king Usain Bolt. 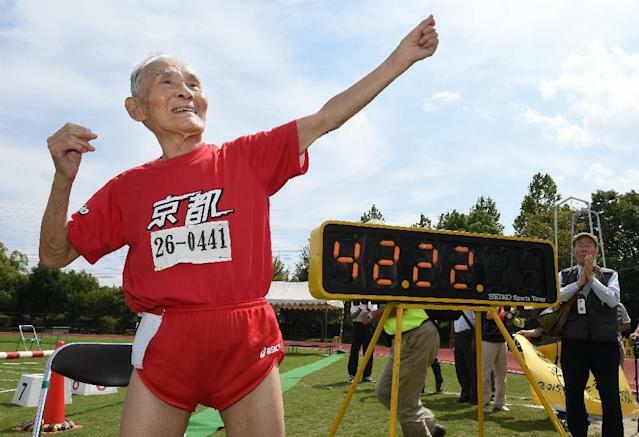 Hidekichi Miyazaki, dubbed "Golden Bolt" after the fastest man on the planet, clocked 42.22 seconds in Kyoto to set a 100 metres world record in the over-105 age category -- one for which no mark previously existed -- a day after reaching the milestone age. "I'm not happy with the time," the pint-sized Miyazaki told AFP in an interview after recovering his wind. "I started shedding tears during the race because I was going so slowly. Perhaps I'm getting old!" Indeed, so leisurely was his pace that Bolt could have run his world record of 9.58 four times, or practically completed a 400 metres race -- a fact not lost on Miyazaki. "I'm still a beginner, you know," he said, grinning from ear to ear. "I'll have to train harder. Training was going splendidly, so I had set myself a target of 35 seconds. I can still go faster." "I will say this: I'm proud of my health," added Miyazaki, the poster boy for Japan's turbo-charged geriatrics in a country with one of the world's highest life expectancies. "The doctors gave me a medical examination a couple of days ago and I'm fit as a fiddle. "My brain might not be the sharpest but physically I'm tip-top. I've never had any health problems. The doctors are amazed by me. I can definitely keep on running for another two or three years." Asked about Bolt's latest heroics at last month's athletics world championships in Beijing, Miyazaki screwed up his nose and said with a chuckle: "He hasn't raced me yet!" "I would still love to compete against him," said Miyazaki, who loses valuable seconds because he cannot hear the starter's gun go off. 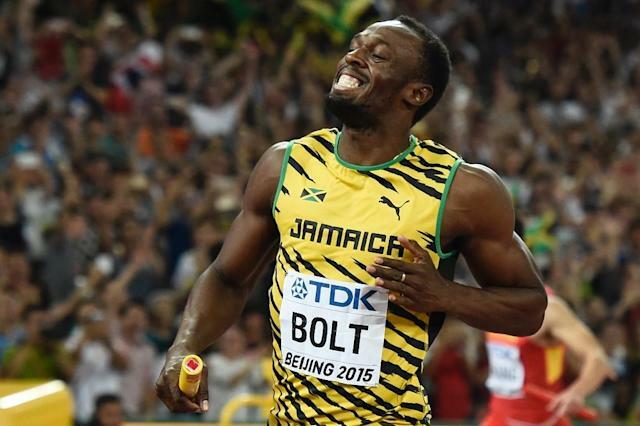 "Two or three years ago Bolt came to Japan and said he wanted to meet me. There was a call about it but I was out and he left without meeting me. I felt deeply sorry." Miyazaki, who was born in 1910 -- the year Japan annexed Korea and when the Titanic was still being built -- only took up running in his early 90s and prepares for races by taking a sneaky catnap. "It's all about willpower," Miyazaki said of his need for speed. "You have to keep going." "I can't think about retiring," said Miyazaki, whose next competition is next month's Japanese Masters Championships. "I have to continue for a few more years, to show my gratitude to my fans."